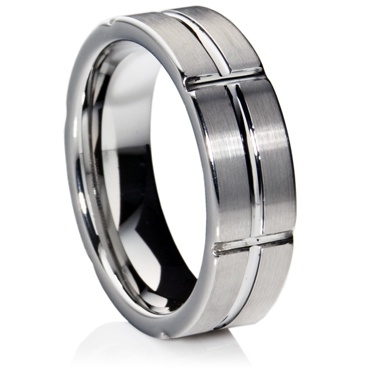 7 mm tungsten carbide flat-profile ring. The matte finish squares are separated by polished grooves or channels. The finish is extremely tolerant to scratching. Unlike other metals it will maintain its polish for many years.